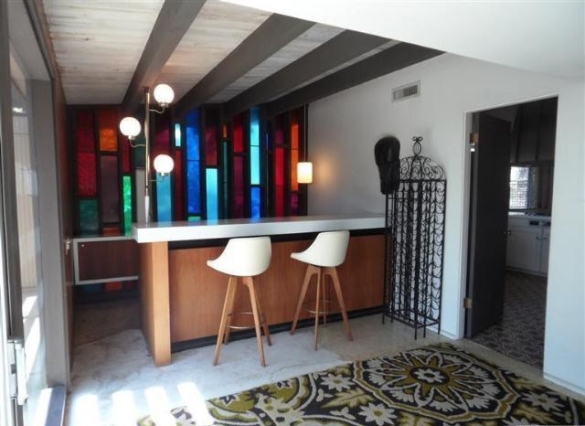 This urban retreat is a very unique mid-century modern classic designed and built by Architect Robert Reichert. Originally, it was covered in black & white geometric shapes, but that was painted over to blend into the neighborhood better. Mr. Reichert built this home and resided here with his mother. 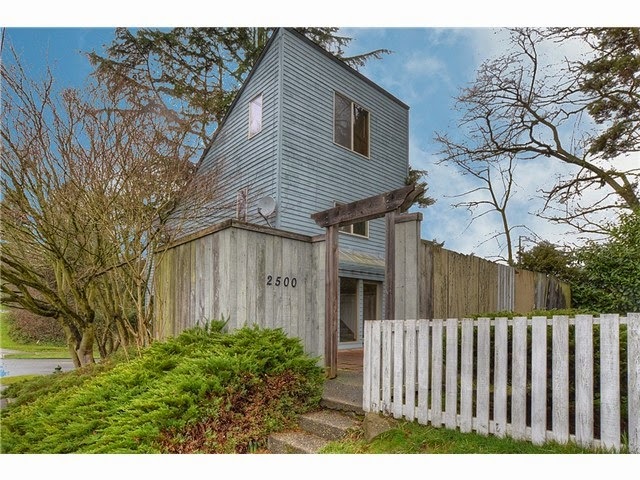 From City of Seattle website: This unusual modern house sits on a small (1800 square foot) corner lot, surrounded by trees and shrubs. 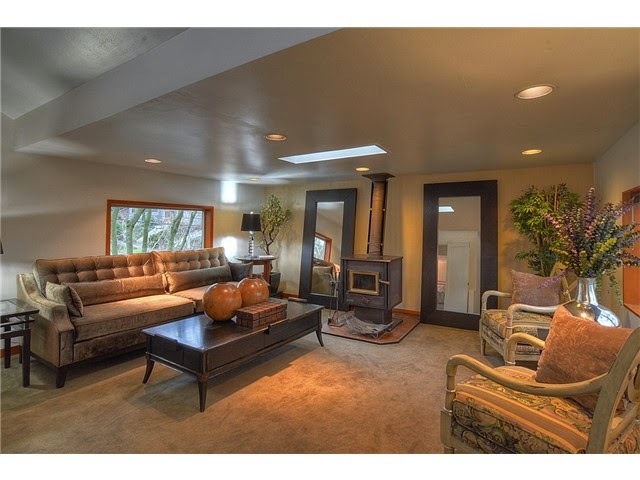 The house is only 1,080 square feet, on an unusually small lot. It has a steep shed roof with a very shallow eave; the high point is on the east side. There are few windows, with three on each side elevation and two on the east; windows are all aluminum frame. The west elevation, fronting on the street has the garage door but no windows. 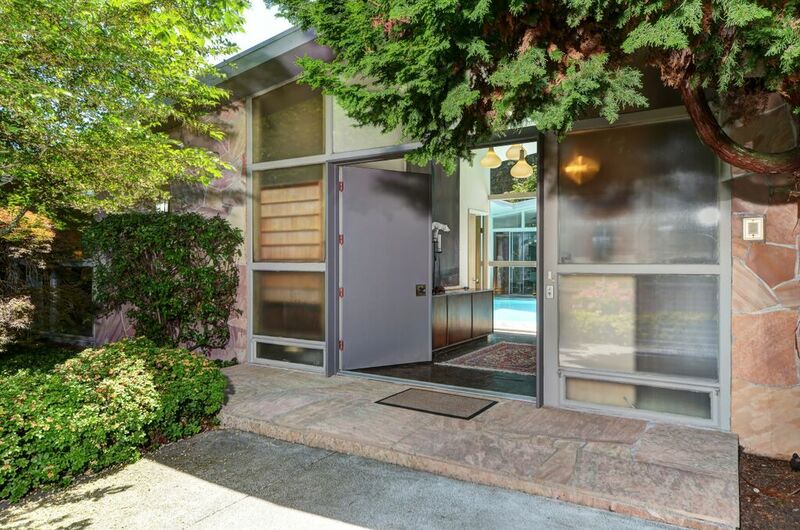 A sliding glass door opens into the rear parking area, which appears to be the main entrance; there is no door on the street. Cladding is horizontal wood, painted off-white. 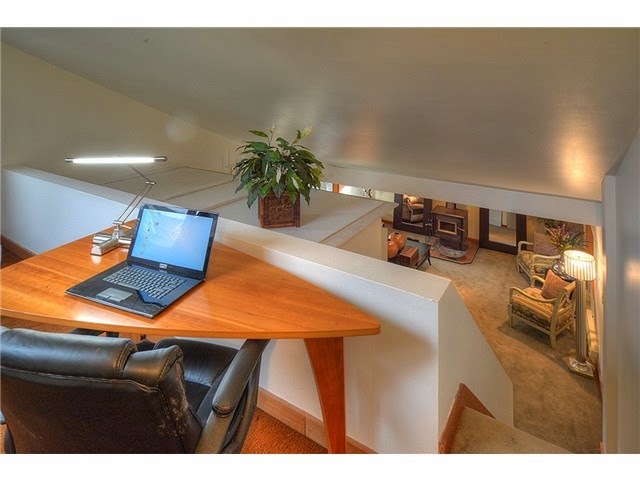 More information about Robert Reichert on DocoMomo website. 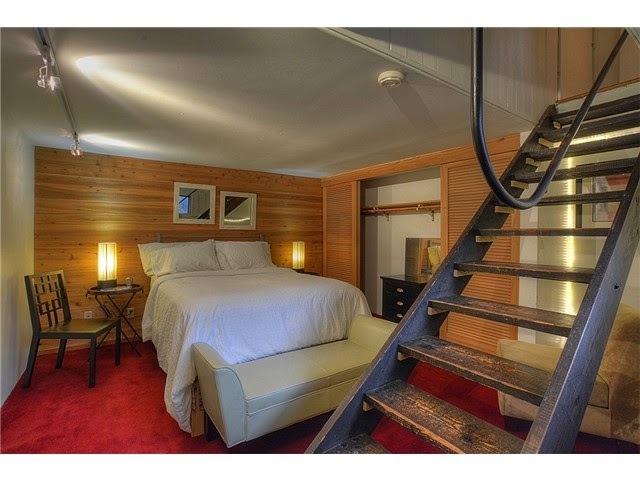 Here are some great photos of the interior on Remodelista in an article, Living in a Seattle Architectural Landmark.